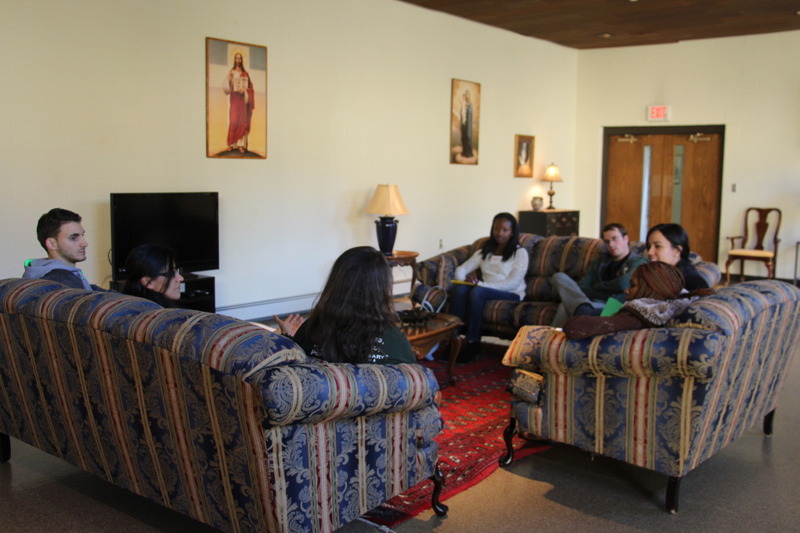 Everybody arrived early on Friday evening, got settled in the rooms and headed to the common area in St. Thecla’s Retrat House for the beginning of the activities, which started promptly at 8:00pm. Fr. Michael Harrington and Leiri Ruiz were in charge of the welcome and introduction. 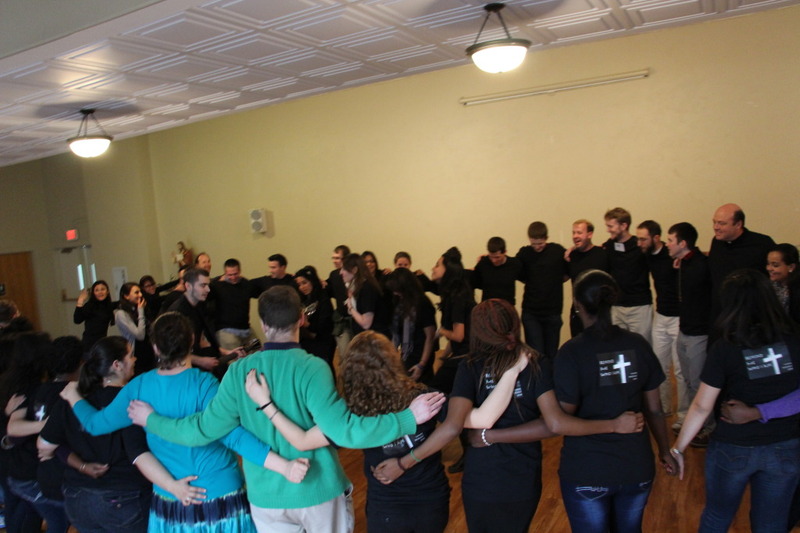 The retreatants were led in a series of warm-up games to get to know each other. 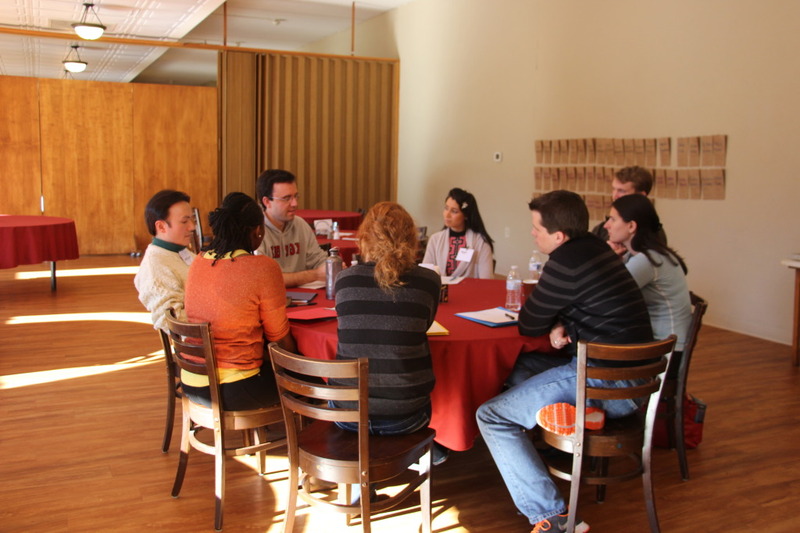 They also formed small groups for the discussion periods that would take place throughout the weekend. 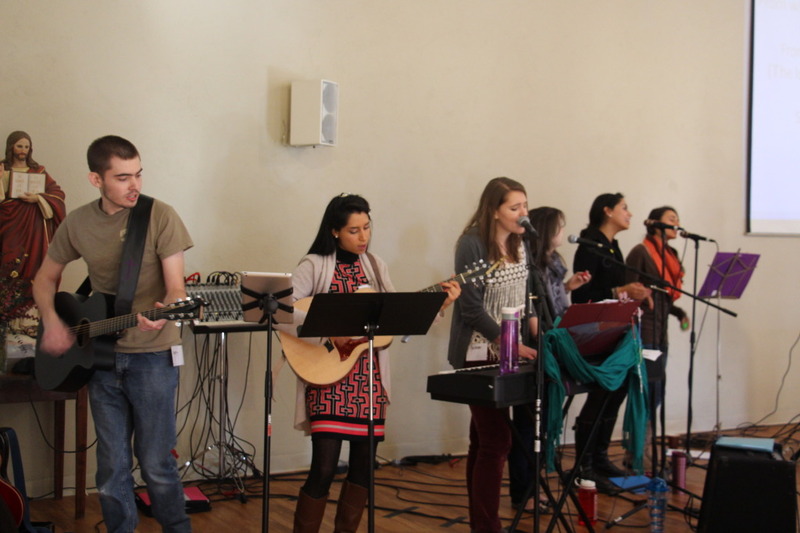 The music team set the atmosphere with beautiful praise and worship songs that got everyone on their feet, dancing and praising the Lord. 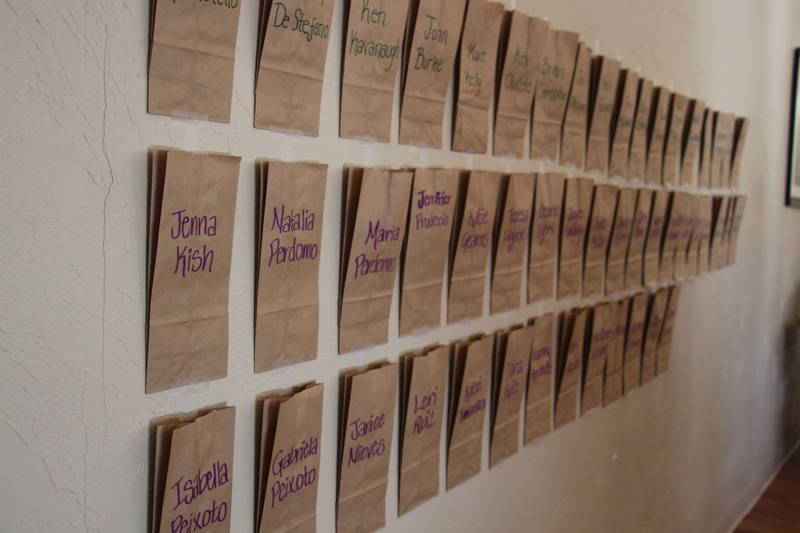 The joy and excitement of the participants was evident since the very first day. The music during the entire weekend was outstanding! 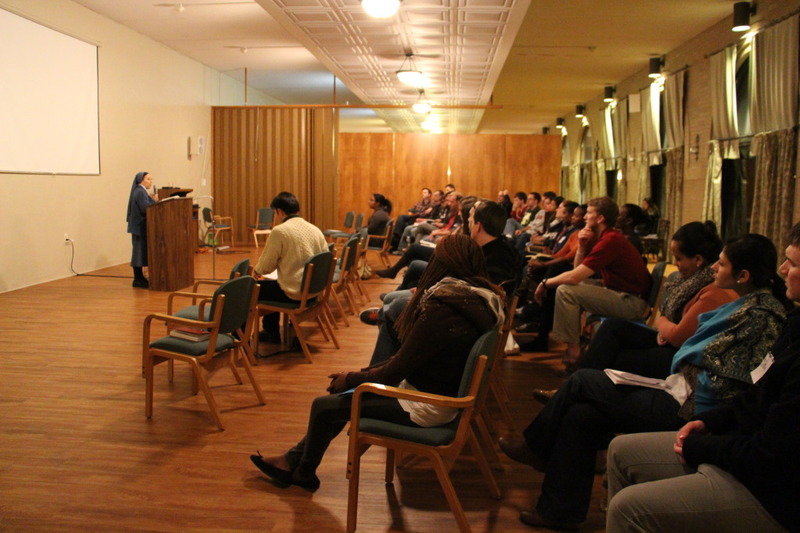 The activities on Friday closed with night prayer, after which everyone went to rest in anticipation of the next day. 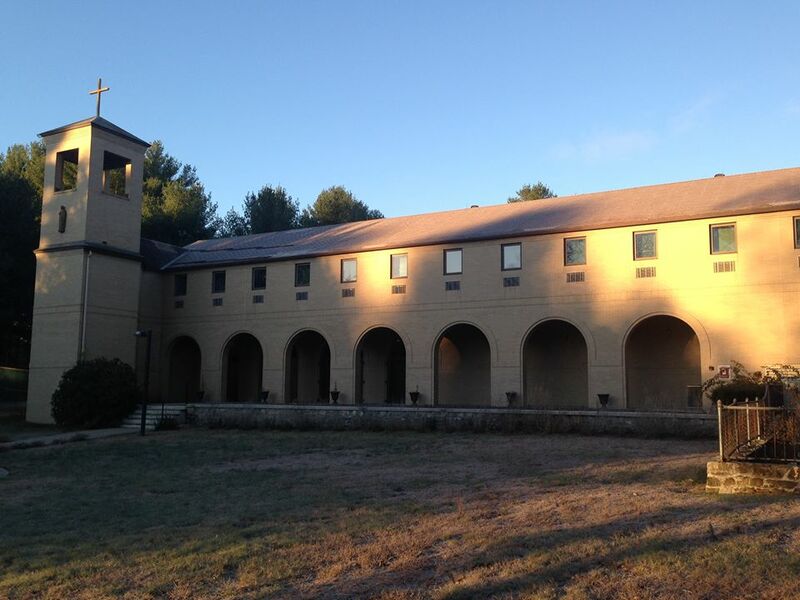 On Saturday morning, the participants gathered at 7:30am for Morning Prayer, followed by the Angelus and a warm, delicious breakfast. Fr. Michael took this opportunity to explain the devotion of the Angelus, a beautiful prayer recalling the Incarnation as the Word entered the World. The group prayed the Angelus before every meal, facing a replica of the famous ‘Angelus’ painting by Jean-Francois Millet, which hanged on the wall of the dining area. 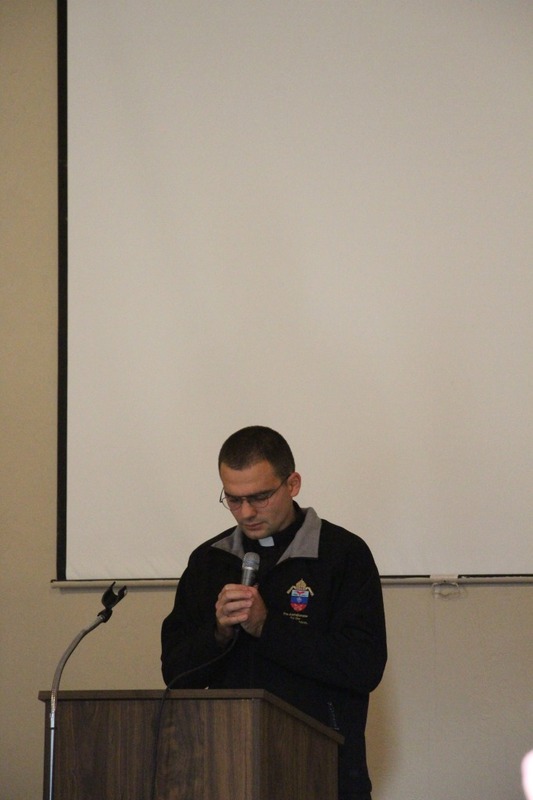 Sinisa Ubiparapovic sharing his testimony with the participants. 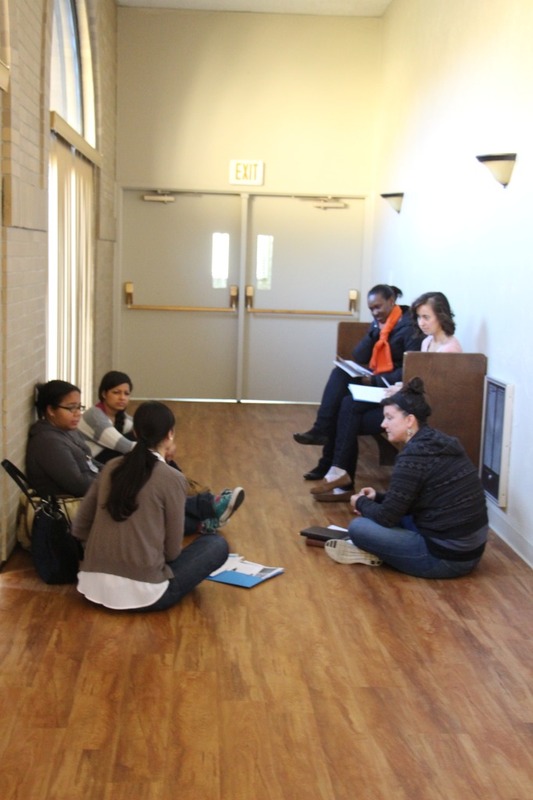 Next, the retreatants had some time for individual reflection and journaling, followed by small group discussion to share how God had spoken to each one of them during the retreat. 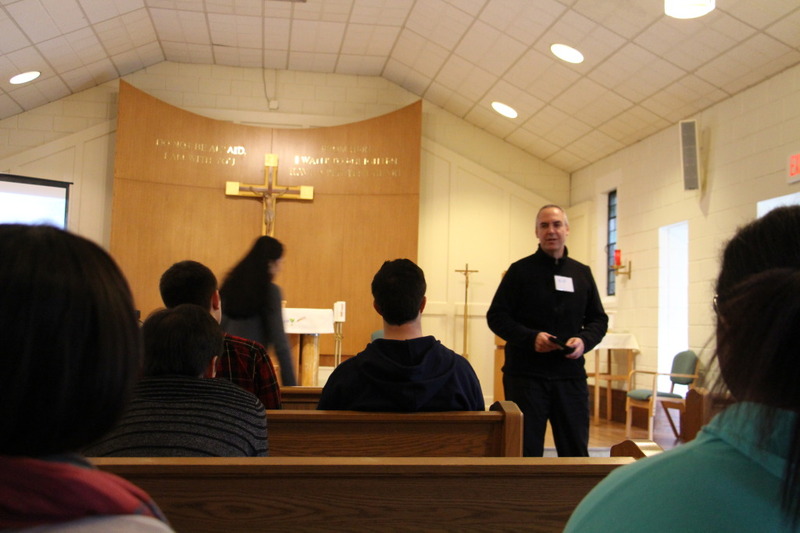 After lunch, the group gathered at the Chapel for a Rosary and Daytime Prayer. 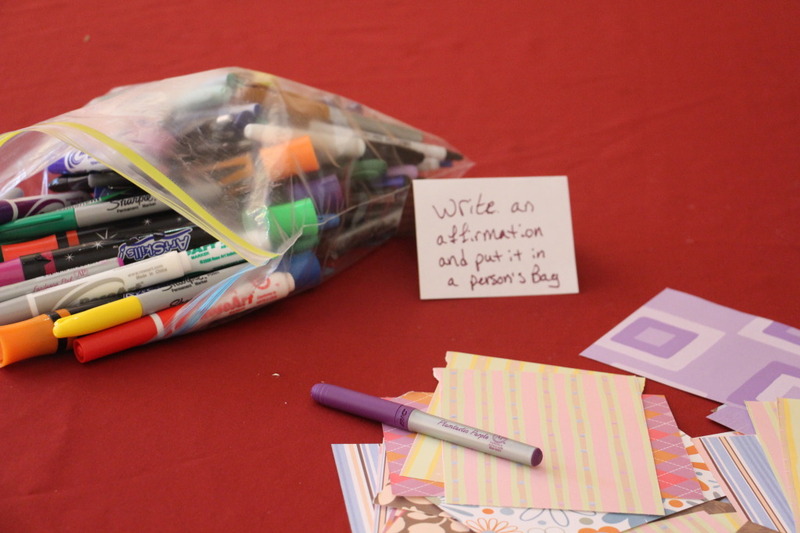 The next hour and a half was free time, during which some of the participants enjoyed an afternoon walk or aftenoon nap, while others took the opportunity to write some affirmation notes to other retreatants. 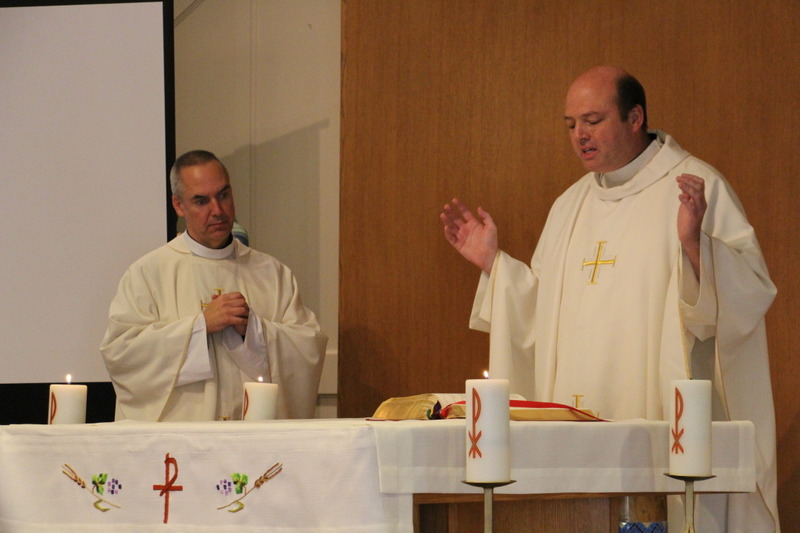 Mass was celebrated at 4:00pm, followed by dinner. After that, Bernadette Adamo gave her witness story on the topic of vocational discernment. Bernadette stressed that one of the most important things for discernment is to be at peace, knowing that every one of us is a child of God and absolutely nothing can change that. Bernadette shared with the participants how she met her husband and discerned her vocation to marry him after having surrender everything to God and letting Him take the lead of her life. 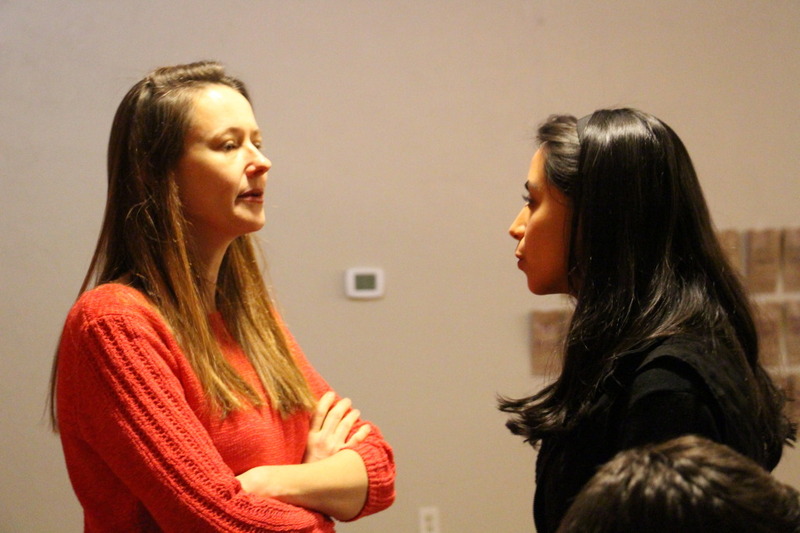 Natalia, one of the participants, talking with Bernadette after her talk. The second conference of the retreat was given by Sr. Martha Soza, who belongs to the congregation of Sisters Disciples of the Divine Master. 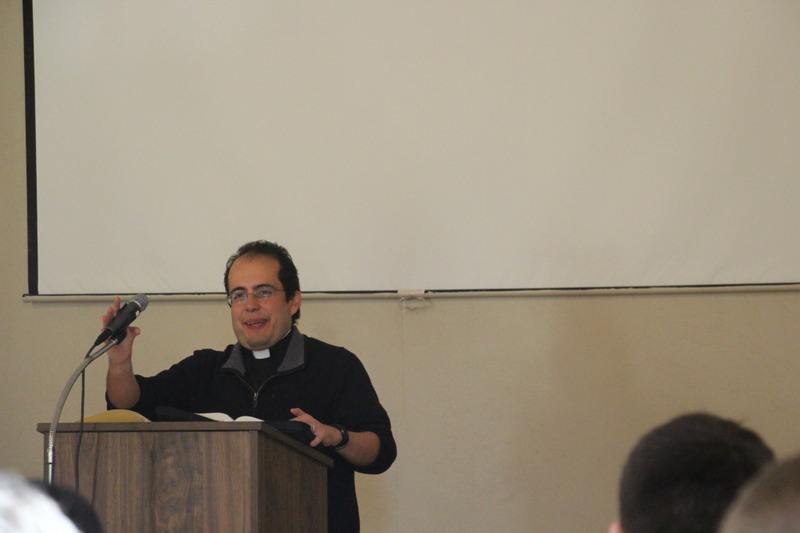 The topic of the conference was the Eucharist. 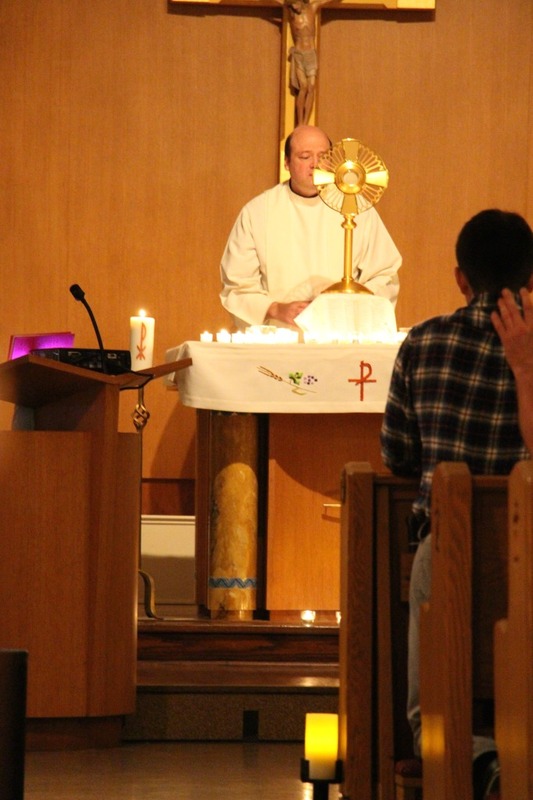 This talk beautifully led to the Eucharistic procession into the Chapel and Eucharistic Adoration. 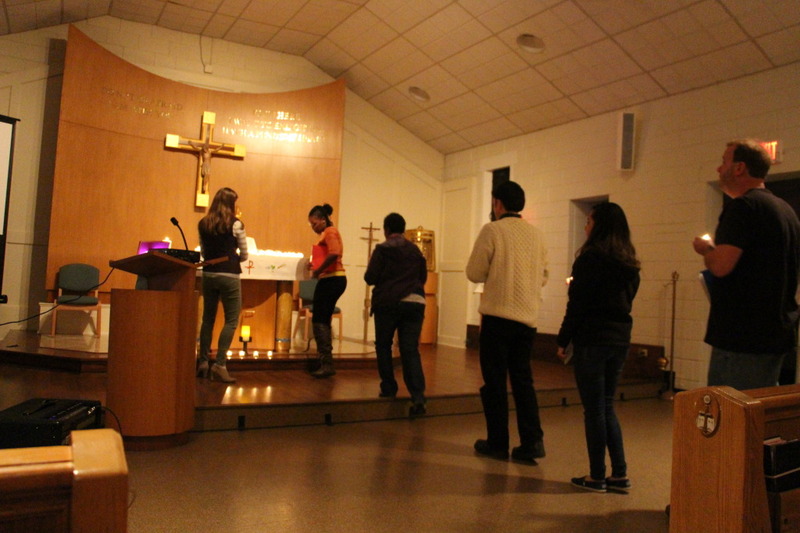 During this time, the participants had the opportunity to receive the sacrament of Reconciliation. 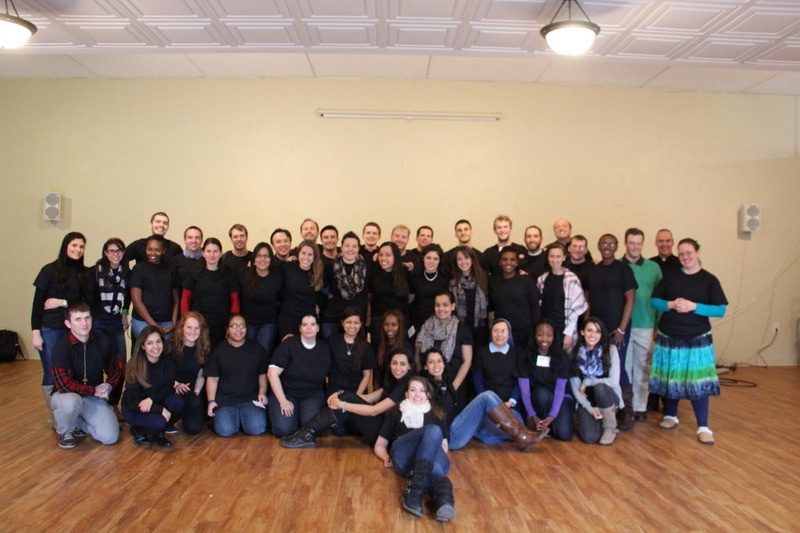 Sunday morning, the participants got up early for Morning Prayer at 7:30am. 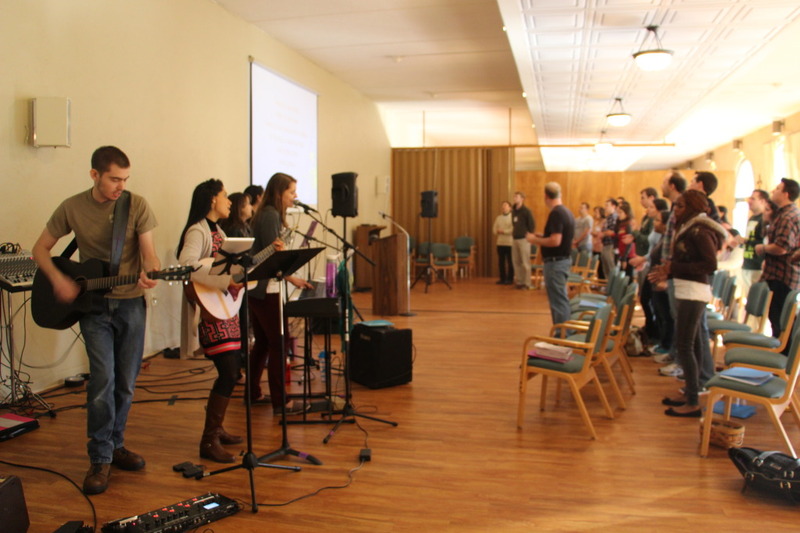 After breakfast, they gathered at the Chapel for the last conference of the weekend. This was given by Fr. Ed Riley on the topic of discernment. Fr. Riley shared with the group insights on the discernment of spirits and how can we start to perceive the movements of the Holy Spirit in our day-to-day lives. 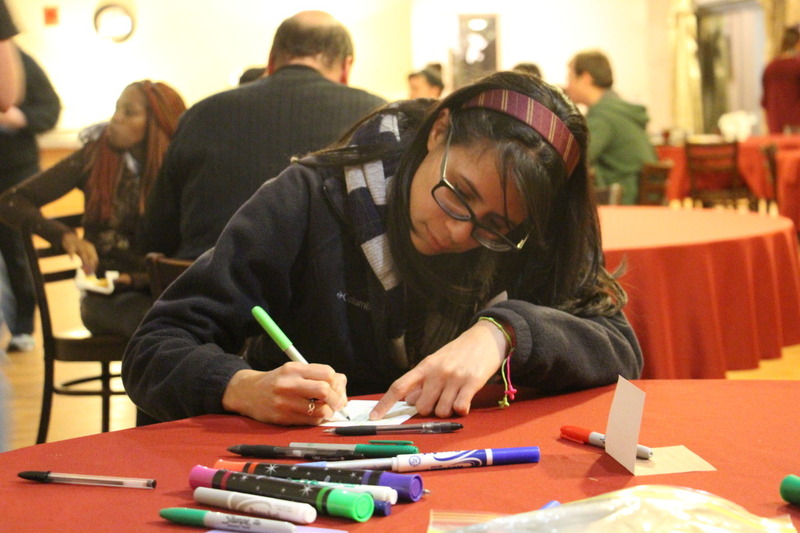 For more individual pictures and a slideshow of the yHope retreat, click here.